Today I have the honor of an interview with Charity Bradford. She asked some questions about writing, my books, and a little about me. So, for your amusement, I invite you to visit her SITE. I had a huge surprise Monday night when Jennifer Hillier notified me via Twitter that my blog was an official BLOG OF NOTE! That really blows me away. I am really humbled. 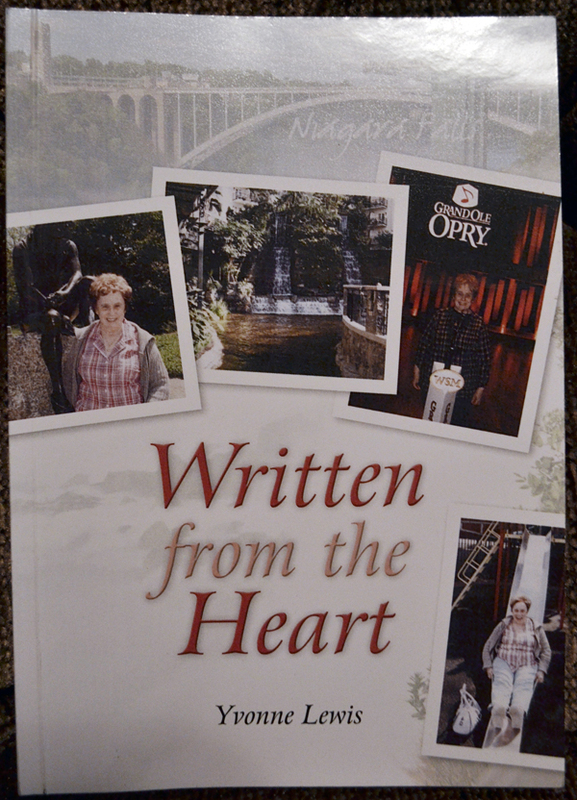 Yes, that is my name on the back of her book, like it means something! I was just as excited to see it on her book as I have been on my own. Yvonne, thank you for this gift – you are truly an amazing person. Before you go, I’d like to toss a couple controversial and hot topics at you. Feel free to chime in with your opinion. Should an author read reviews of his own book? I think we should read them. Sure, we’ll be bummed by negative reviews, but we can learn from those - they can reveal where we lacked and what we need to work on in the next book. They can also guide us as we write the next book – what do the fans want? And of course, the good ones just plain make us feel good! 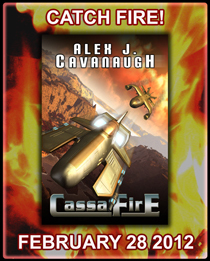 If I hadn’t read reviews for CassaStar, I wouldn’t have known I needed more detail, depth, and world-building. I also wouldn’t have known how much fans wanted a female character! Patriots or Giants – who do you have winning the Super Bowl? And don’t forget to visit the awesome Charity Bradford. You are now free to leave your opinion and move about the Internet! 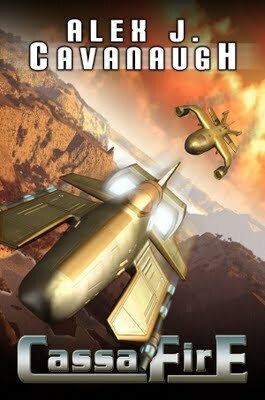 Contests, ORIGINS, Pop Culture Answers - and More! 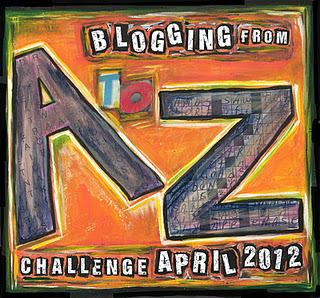 Over at the A to Z Challenge blog is a big announcement regarding our video challenge/contest! 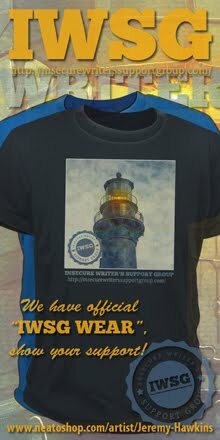 See the site for rules and guidelines. David Powers King just hit five hundred followers, and to celebrate he’s hosting a giveaway! Only two more days to enter the Goodreads Giveaway for CassaFire and don’t forget to sign up for the Catch Fire! Blog Party for more chances to win. 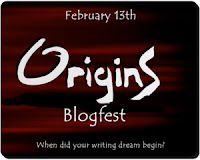 I’m happy to announce the ORIGINS blogfest! The brain child of DL Hammons at Cruising Altitude, I’m proud to be a co-sponsor along with Katie Mills aka Creepy Query Girl and Matthew MacNish at The QQQE. On Monday, February 13th, post your own origin story. Tell us all where your writing dreams began. It could be anything from how you started making up stories as a child, or writing for the school newspaper, or even what prompted you to start a blog. How about stories about the first time somebody took an interest in your writing, or maybe the singular moment when you first started calling yourself a writer. It all started somewhere and we want you to tell us your own unique beginnings. I wonder what that title will do to search engines? Let’s start with some interesting random rumors and facts. NiNoCon, an online writer’s conference, is being hosted by Dojo Ninja Master herself, Ali Cross. The conference is scheduled for Saturday, February 4, so hop on over to Ali’s site for the details. 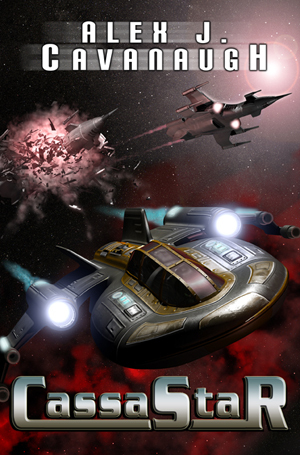 This week, Stephen Tremp unveiled the cover for his next book, Opening. Looks awesome, Stephen! The iPad 3 does not have an official release date yet, but the rumors are it will be sometime in February. Will I be buying an iPad 3? Heck yes! And I’ll probably get the iPad 4 when it comes out as well. (Rumored for October.) Pretty soon I’ll have an iPad for every room in the house. Also rumored coming out soon is Diablo III – finally! Diablo II came out in 2000. The wait between Starcraft and Starcraft II was ten years – the wait for Diablo III is going on twelve years now. Come on, people! I’m dying here. They are working on a fifth Pirates of the Caribbean movie. Yes, you read that correctly. Pirates of the Caribbean: We Want Another Billion Dollars. Most of you probably heard about the Bronco’s miracle win over the Steelers this past weekend. Here’s something you may not have heard though. Tim Tebow used to wear John 3:16 on his person when he played for the Gators. Now, I don’t think God really cares either way about football. But Sunday night, Tebow threw for 316 yards, averaging 31.6 yards per pass, and the viewer index for the end of that game was 31.6%. Pretty wild, huh? Now for some naked Ninja. Not really, though. I’d scare myself! And finally, do you ever stop and wonder what would’ve happened had you never started writing? Or never started blogging? I would’ve missed a whole world of amazing friends who have changed my life. Awesome Stuff and the Big Announcement! Thanks again to everyone who participated in the Insecure Writer’s Support Group!There were some awesome posts, including this funny one from Mark and a touching and inspirational one from Youngblood. I’ve tried to visit as many as possible and I’ve also cleaned up the list a bit, eliminating those who aren’t participating. I also had a very funny surprise visual review of CassaStar from Jesse at Not Worth Mentioning. Thanks dude, it was hilarious! 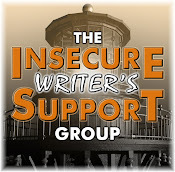 Saturday, January 7, I have a guest post with Laura B. Writer. 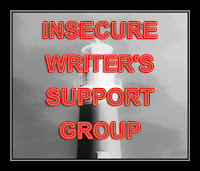 She is a marketing consultant who critiques writer/author blogs during the week and conducts interviews on the weekends. So stop by and say hey on Saturday! But today’s main event it the April 2012 A to Z Challenge! First – what is the Challenge? 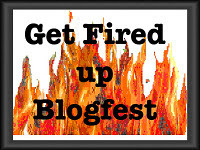 This amazing month long blogfest was created by Arlee Bird at Tossing it Out. If you subtract Sundays from April, you then have 26 days--one day for each letter of the alphabet. (This year April 1 is on a Sunday, so we will start on that day.) Using this premise, you start beginning April 1 with a topic themed on the letter A, then on April 2 another topic with the letter B, and so on until you finish on April 30 with the letter Z. This will be the third annual A to Z Challenge! The purpose of the Challenge is to blog almost daily following the alphabet – and to make friends. Yes, many gain blog followers, but as those who’ve participated in the past will tell you, the real treasure lies in making new friends. I was a last-minute entry to the first A to Z Challenge. I think Lee is still laughing at the comment I made when I decided to do it. There were about a hundred of us and I was randomly selecting entertainment stuff that began with the corresponding letter. (For Q, I posted about Q-Bert and the movie "Q" – lame!) But I made some great friends in the process, including the wonderful Yvonne Lewis and Ella. Last year, Lee enlisted the help of several co-hosts and I was honored to be among those bloggers. Were we blown away when almost thirteen hundred participants signed up! (And for those of you who were overwhelmed last year, we have a plan for this year.) I had a theme this time and featured two blogger buddies each day whose blogs corresponded with the letter. It was an awesome month and I made a ton of new friends. We are armed and ready! To keep up with other announcement regarding the Challenge, please follow the A to Z Challenge Blog. This is one of the most amazing challenge you will undertake and one of the most rewarding – join us! And if you have a second, scroll to the bottom of my blog - I completely forgot my publisher was doing this!